Another footballing legend from Mysuru is P. Narasimha. He is renowned for his fearless and powerful heading abilities. His journey has been a bumpy ride as an injury to his knee curtailed his fairytale ride. He has represented Indian Football team and has participated in VI President’s Cup Football Tournament which was held at Seoul in South Korea during 1976. Being a right back player, he was swift on his toes and used to dodge incoming corners from opposition by lunging into the air and heading the ball to safety. With heading as his main weapon in his armour, Narasimha used to score a lot of goals during corner kicks and free kicks that were crossed into ‘D’ box. He has been an active Governing Board Member of Karnataka State Football Association (KSFA) since 1998. 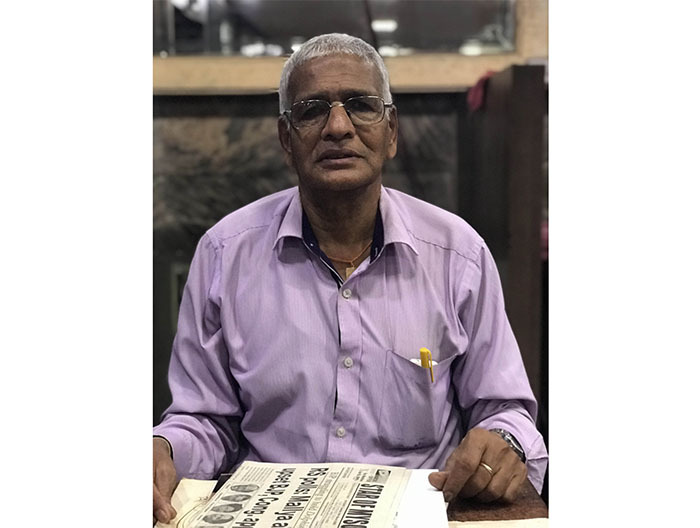 He has represented Karnataka State Team in the 10th Junior Football Championship held at Quilon (now Kollam in Kerala) in 1973 where they emerged runners-up, 31st National Football Championship for Santosh Trophy held at Jalandhar (Punjab) during 1974 where the team lost in the semi-finals, Pentangular Mini Football Tournament held in Bangalore during 1974 where they emerged runner-ups, Vittal Trophy Football Tournament held at Madras in 1975 and emerged winners, 32nd National Football Championship for Santosh Trophy held at Calicut (Kozhikode) in 1975 where they lost in the finals, Karnataka Chief Minister’s XI which played in the Exhibition Football Match against Wacker Club Berlin of Germany in 1976 at Bangalore, etc. 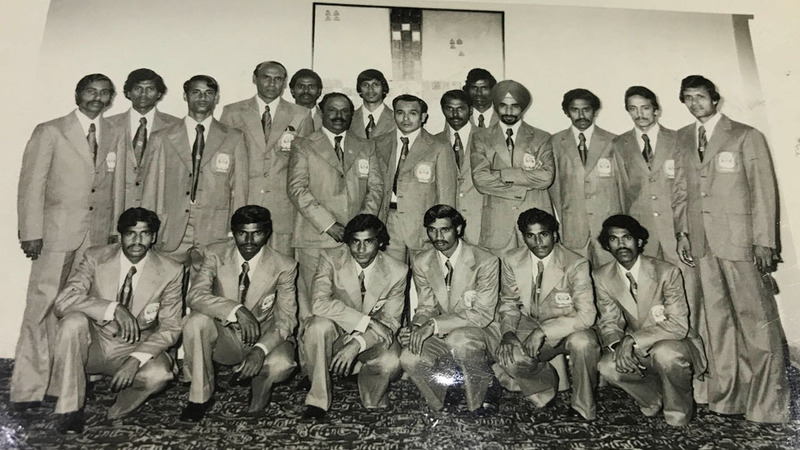 Proud Moment: P. Narasimha (sitting extreme left) seen with the Indian Football Team during a photo session at Delhi before leaving for South Korea in 1976. “After I returned from South Korea, while playing for the Jawa team in Bangalore I had a terrible knee injury. This sidelined me for a year as I underwent surgery and rehabilitation. This one-year gap from Indian team was a concern and I lost the opportunity to continue playing for India. But I made slow strides and continued playing the game and represented the State Team and kept the passion alive,” he says.